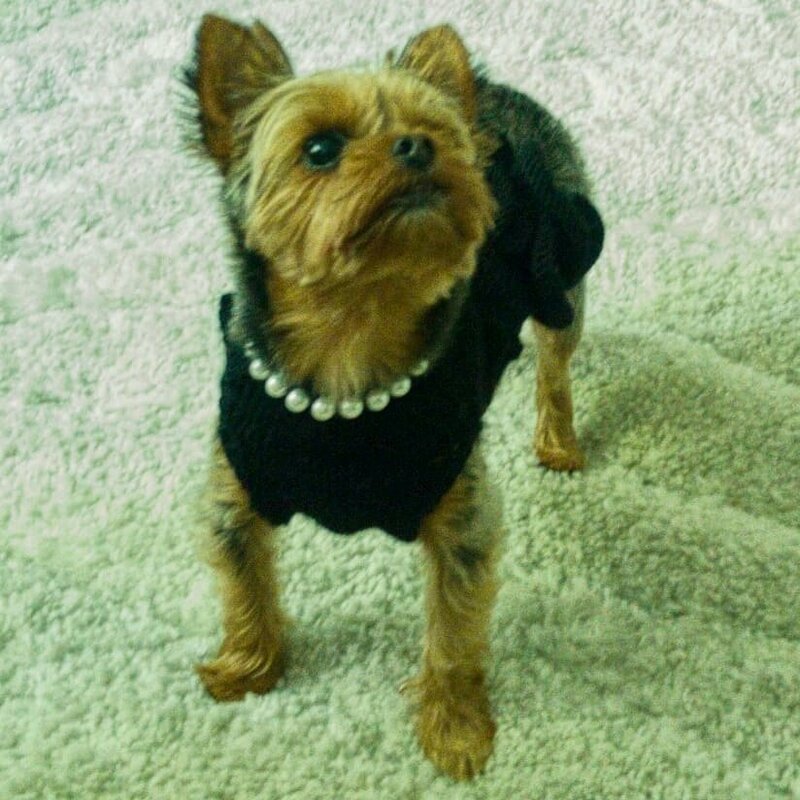 Breakfast at Tiffanys anyone? 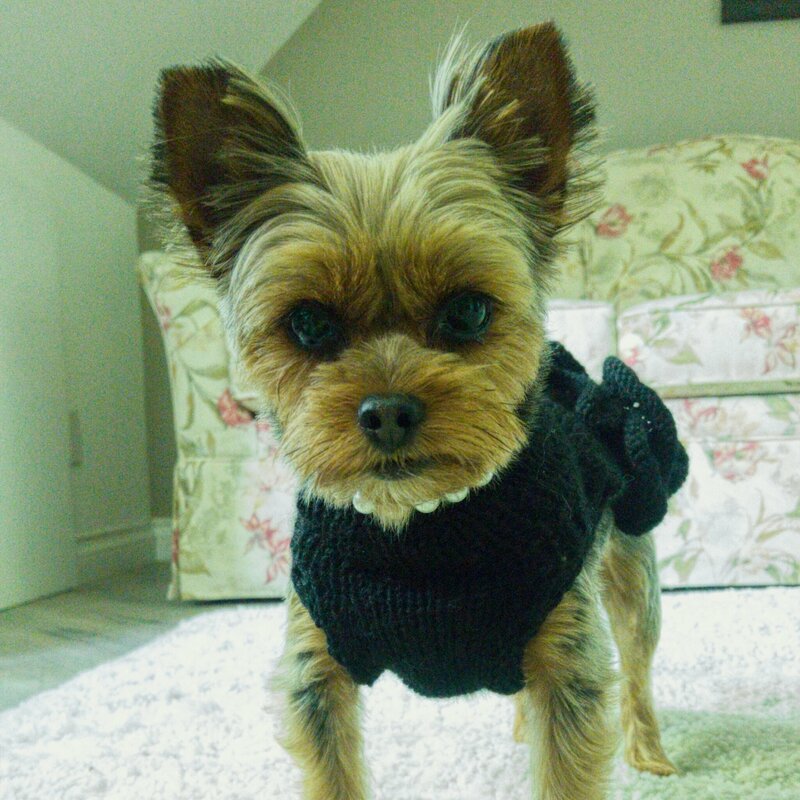 This Little Black Dress is made for those special days when you want to show off just how sweet your little girl-pup is. 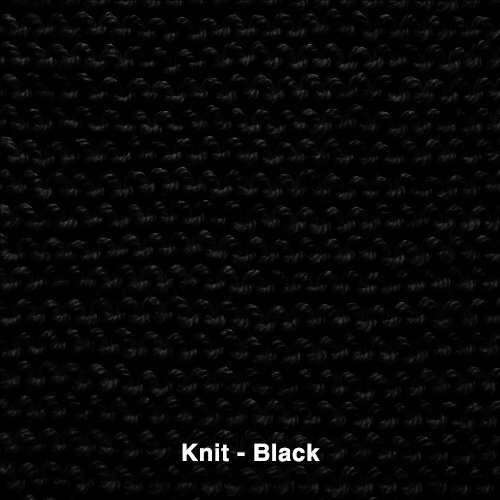 Our hand knit black dress is made with soft, quality yarn with REAL wool. 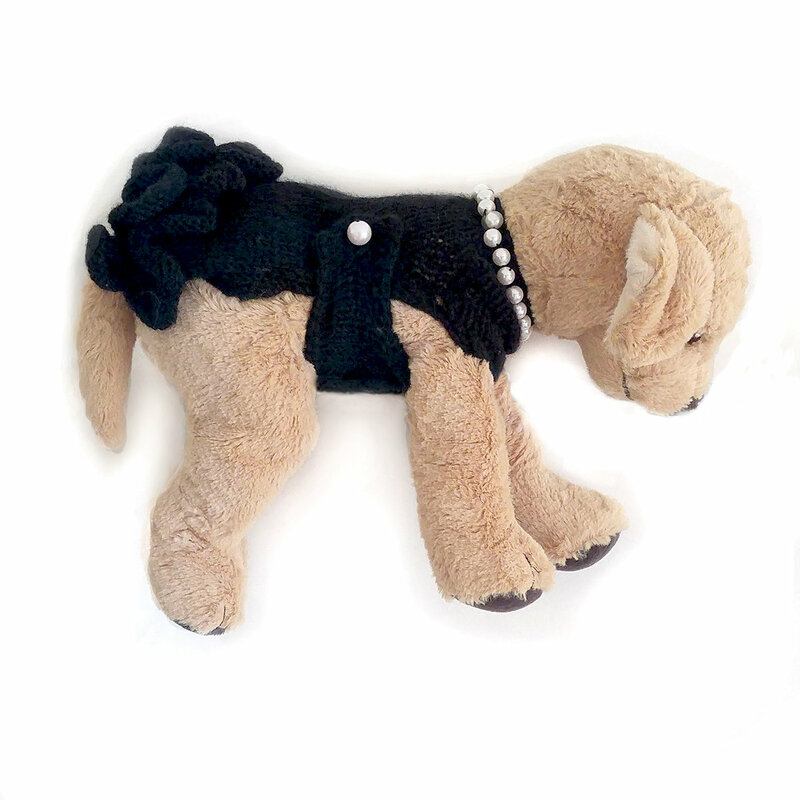 A string of high-end faux pearls encircle the neck and faux- pearl buttons adorn the sides for attaching the Y-shaped tummy panel that goes between the dog’s front legs and wraps around the sides. 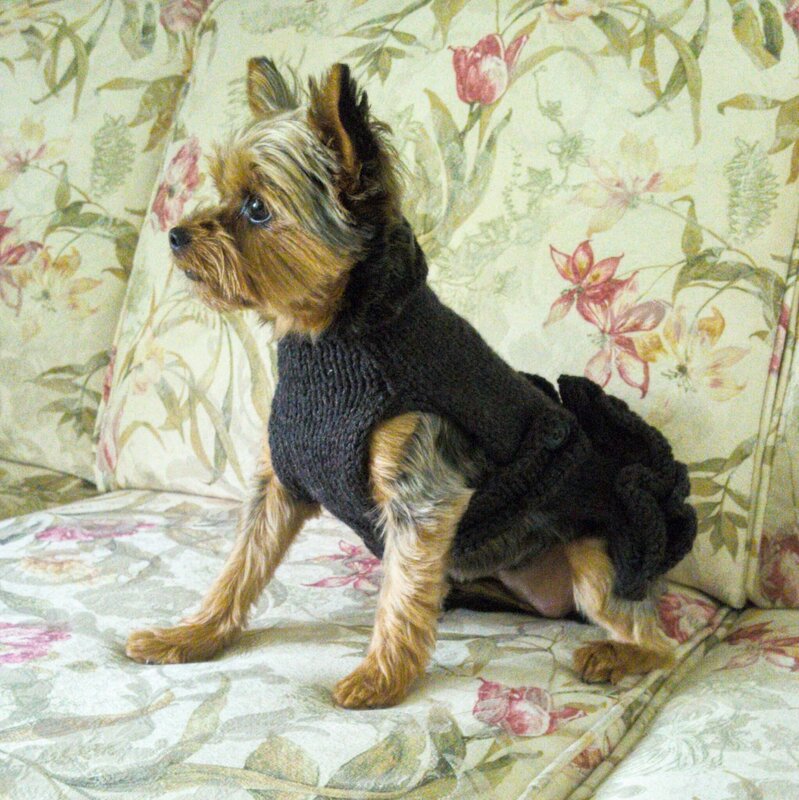 Ruffles adorn the bottom edge giving the dress that classy touch. 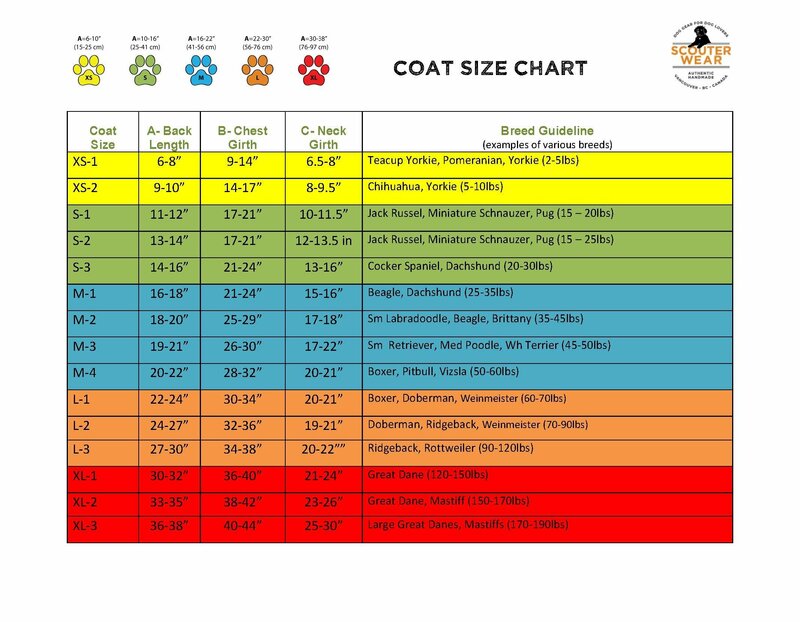 Perfect for weddings, special occasions, or just for fun dress up, this dress comes in many sizes for the smaller dog. 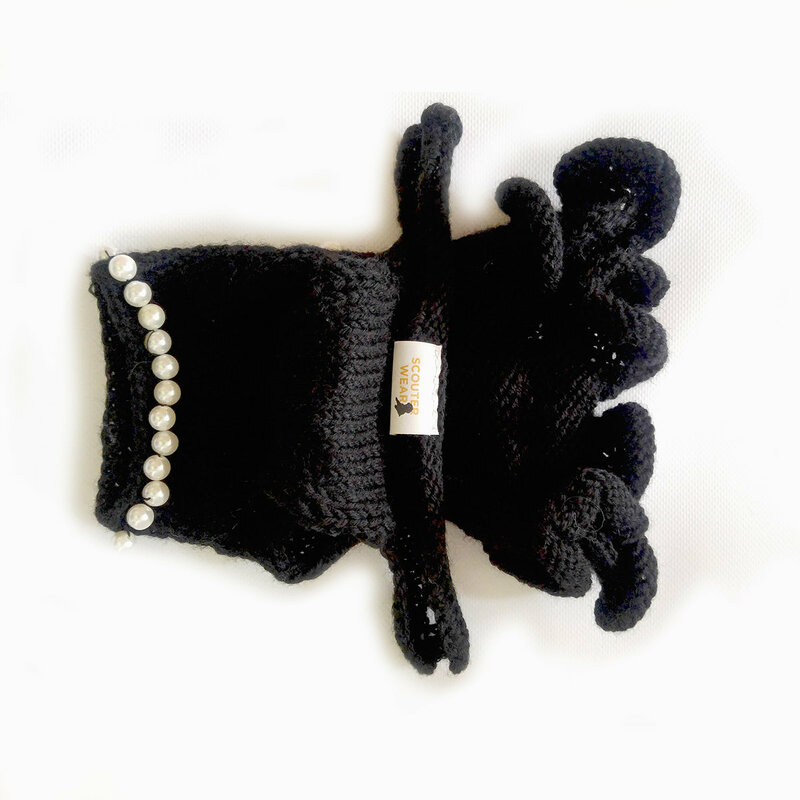 It is called the Little Black Dress, but of course if you have a different colour in mind just give us a shout. 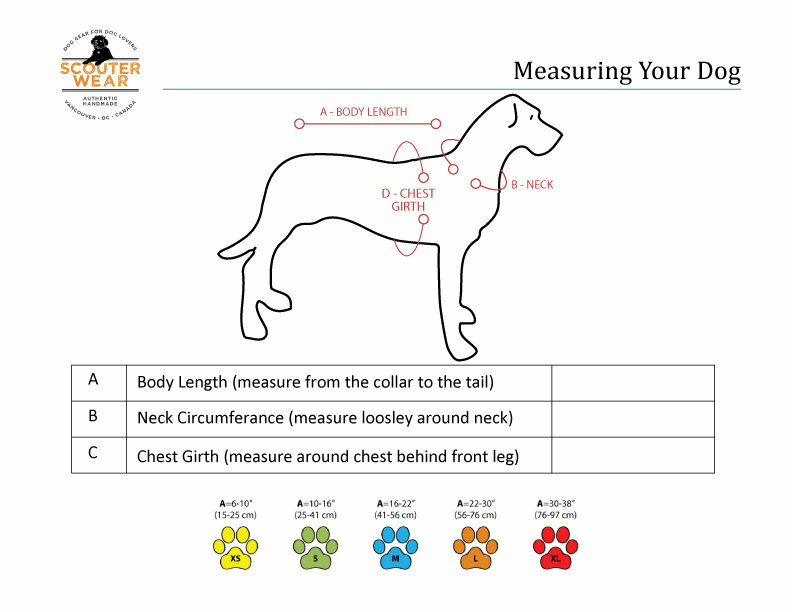 Check out the "Fitting Your Dog" page to make sure you choose the perfect fit.